We believe that the cornerstone to successful habitat offsetting is the ability to conceptually and practically apply an intimate knowledge and understanding of the ecosystem under study and use creativity and innovation to tailor each plan to meet specific goals. By engaging local stakeholders and First Nations we gain access to traditional knowledge about the species and the factors affecting habitat and are able to put together comprehensive plans that benefit proponents and communities. Ecofish biologists and engineers are experts at designing, implementing and monitoring successful fish and fish habitat compensation plans for our clients. 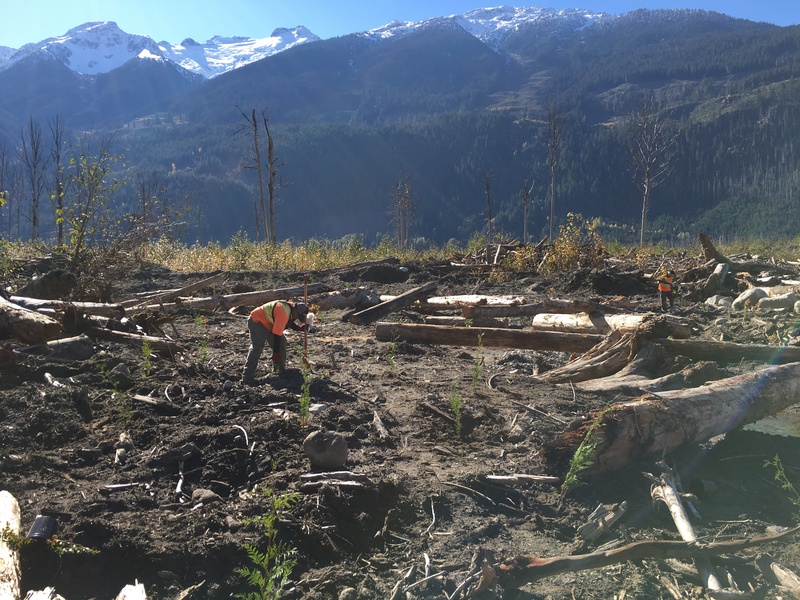 We are experienced in eco-hydraulic restoration of small urban streams, unique multi-stream nutrient enrichment programs and complex multi component offsetting plans to the benefit of multiple species for high-profile developments in BC. We specialize not only in offsetting of fish habitat but also in wetland creation, riparian and landscape reclamation and terrestrial habitat construction for birds, mammals, reptiles and amphibians. Across dozens of projects spanning the past decade, we have built over 10,0000 square meters of cost-effective, constructible, and relevant stream channel, pond, and riparian habitats, proven to increase productivity through pre- and post-construction monitoring. We work with local stakeholders, who have intimate and deep understanding of their landscape to create ecologically meaningful projects. We provide detailed design drafting services that ensure the plan is effectively communicated to the client, regulatory agencies, stakeholders, and construction team. We determine the most efficient way to construct designs while limiting disturbance to the surrounding ecosystem and provide services related to each phase of the restoration project including permitting, tendering, environmental construction monitoring and reporting.